Recent bought a chef's knive and a paring knife, both are high carbon stainless steel. The chef's knife is quite sharp and can cut a piece of butcher's twine just by touching it, with little or no pressure. The paring knife cannot. In fact, I can even grip the blade quite hard and it doesn't cut me. Should I have it sharpened? It needs to be sharp enough to cut easily and cleanly. A sharp knife grips the food, cuts better, and is easier to control. Food also has a nicer presentation with a clean cut. A sharp knife is safer because it is easier to control. It does not need to be razor sharp and cut hair. Cut paper is plenty sharp for meat, fruits, and vegetables. You can also buy a sharpening kit to do it yourself. Many options where you get cooking supplies. Or pay to have it professional sharpened. A knife does not hold an edge very long. A honing steel will re-align the microscopic teeth and can be used frequently- even after each use. You will get one with most knife sets. I hone before each use. You will feel when the knife does not bite. Something like a cucumber will bite easily. A tomato takes a sharp edge. When it does not easily penetrate the skin then hone. That applies to all types, in my opinion. You want to maximize your control while cutting. If you are slicing an apple or a tomato with a dull paring knife, your chance of injuring yourself will be elevated. Using a dull knife also makes it more difficult to make something beautiful. 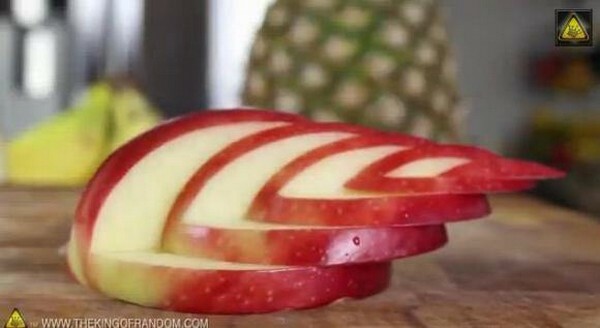 In order to fan out most fruits/vegetables, you need sharp, precise cuts. I laughed out loud when I read the question and some of the answers. I am notorious, at least in my family, for not sharpening my knives regularly (or very fully even when I do). Every time my brother visits me, he complains about my knives and sharpens them, and as as result I invariably cut myself while I'm washing dishes or actually paring. As a result of this result, he is now barred from my kitchen. I think you should have a paring knife with a cutting blade you're comfortable with. If you're comfortable with a sharp one, use it. If you like them a bit dull and know how to maneuver them properly, do that. I really don't think this is one of those questions that has a right answer. Each cook needs to decide what s/he likes and use it accordingly in this case. The point, after all, is simply to be able to pare things! Not the answer you're looking for? Browse other questions tagged equipment knives kitchen-safety knife-safety or ask your own question.